OVIS is an Internet based Application Service used by the leading CROs abiding to the GCP aimed towards addressing the issue of cross participation of volunteers at various CROs. The hopping volunteers effect the results of clinical trial project as well as end up in danger themselves due to frequent participations in such projcts. OVIS is a membership based Application Service for various Contract Research Organisations belonging to a common geographical area. 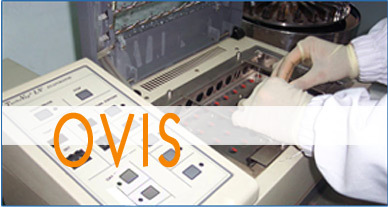 OVIS is a validated and compliant system following the USFDA CFR 11 guidelines. This software application is installed and operational at many CROs across India. OVIS has under gone manny audits at CROs. The Agencies are USFDA, MHRA, ANVISA, DCGI, and audits from France, Belgium and Germeny. All rights reserved with Inforcom Technologies Pvt. Ltd. Ahmedabad, India.